If you’ve ever tasted fresh pasta, you won’t go for any store-bought pasta. Because fresh pasta is different and tastier than dry store-bought pasta. But it is tough and time-consuming to make pasta completely by hand. In this case, a pasta machine is an effective device that you need to make fresh pasta at your home. Pasta roller lets you roll out the sheet of pasta in your wanted width. Pasta machine usually comes with a metal body what is essential for long-lasting. It also has the option to add the additional attachment so that you can enjoy various tastes. The pasta roller can make delicious pasta you’ve ever tested, believe me! 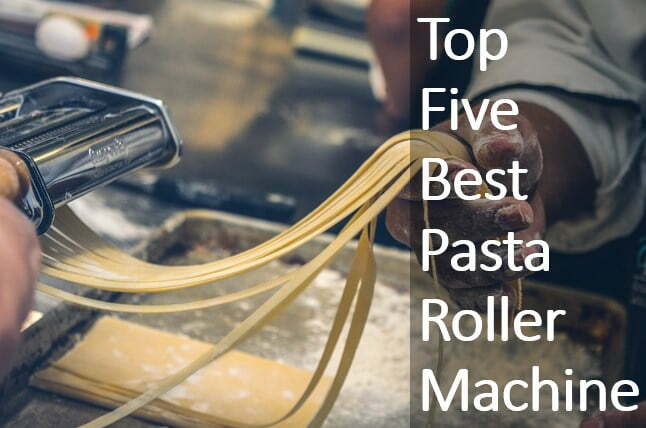 Today I’ve tried to introduce you with 5 best pasta rolling machine and some features of a good quality machine. This guideline helped many of my friends to select their desired pasta machine. Hope it will work for you too! World famous Marcato’s Atlas Pasta machine is great for rolls and cuts pasta dough at your home and making the original Italian traditional pasta. Homemade fresh authentic pasta’s tasted the best than any other. And it’ll teach you how easier making tasty pasta is. 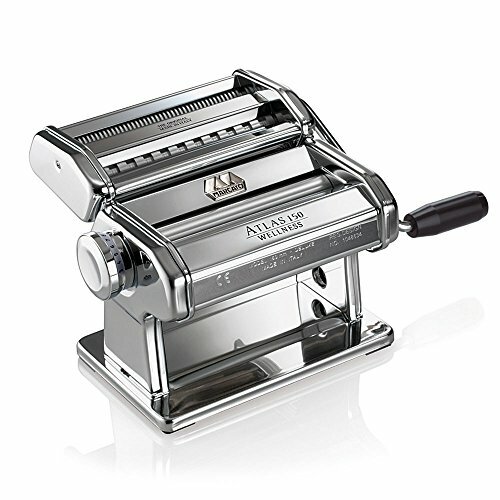 It has the easy control of adjustment that ensures the dough homemade pasta for a consistent texture, taste & cook time. This pasta rolling machine has 10 different thickness settings with a quick choose. You can adjust between 0.6 mm to 4.8 mm and can roll dough up to 150 mm. You can make 3 shapes of pasta with this good pasta machine. They are- Fettuccine, Tagliolini and Lasagne. 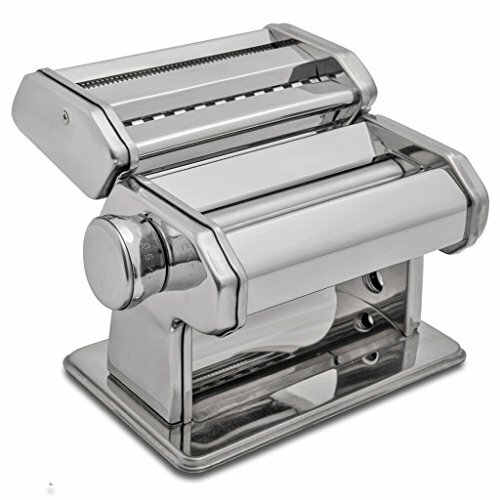 The Atlas pasta making machine is made in Italy and made with stainless steel. You can easily clean it with dry brush or cloth after use. You also can buy the accessories for this machine separately. With the Kitchenaid KPRA Pastamaking roller machine you can bring the taste of fresh pasta into your house. It has additional Kitchenaid stand mixer attachment feature with which you’ll get more facility. It also has the 3 shapes cutting ability; you can cut into thick noodles along with square shape. It can cut into Fettuccine, Tagliolini and Lasagne shapes pasta for you. This device holds spaghetti & fettuccine cutter and pasta roller. It has been made by metal including toothpicks and wooden cleaning brush. If you have a passion for preparing perfect pasta or try to make your own fettuccine, along with linguine or delectable lasagna noodles with this awesome pasta making set, then it can be fit with all kind of KitchenAid stand mixers. You can just prepare pasta dough and form this into very small rectangle sizes with the attachments set. It can make delicious linguine, fettuccine, uniform lasagna noodles or angel hair pasta. The pasta can surely be enjoyed frozen, dried or fresh for later. It contains cooking tips, recipes and complete directions, though cleaning the attachments set can be a little bit of a challenge. Because of you can't wash it in water. It’s made from Italy by a well known brand. So, this machine can satisfy you easily. The KitchenAid KSMPRA 3-Piece Pasta Roller & Cutter Attachment Set is powered by the KitchenAid Stand Mixer. 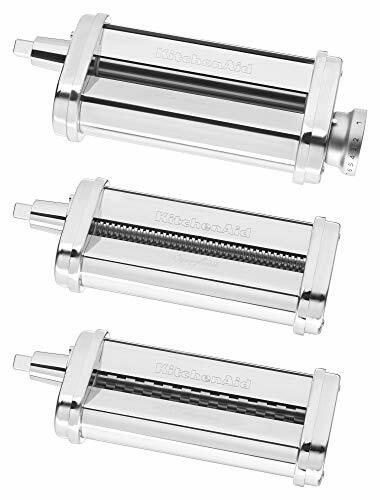 The great 3-Piece Pasta Roller & Cutter Set can quickly make delicious fresh pasta very easily. It comes with a Pasta Roller, spaghetti cutter and a fettuccine cutter. This item is made in Italy by a well known brand worldwide with stainless steel. For everything what you want to make with this machine, it will do for you. It is a long lasting machine because of its metal body material. You also can attach additional best Kitchenaid pasta attachment for better performance and different kinds of tastes. The Imperia Pasta Roller machine has become the top homemade pasta maker very quickly with some of great reasons. This item’s well-built, long lasting, and can make absolute piece of cake. It can easily make the tasty and most delicious pasta you ever tasted, seriously! Some customer says even well than what you find in famous Italian restaurants. The Imperia SP150 heavy duty pasta machine is not only just a machine of great beauty but also it's an object of supreme practically from. You can adjust the thickness in various sizes to make the pasta tastier. 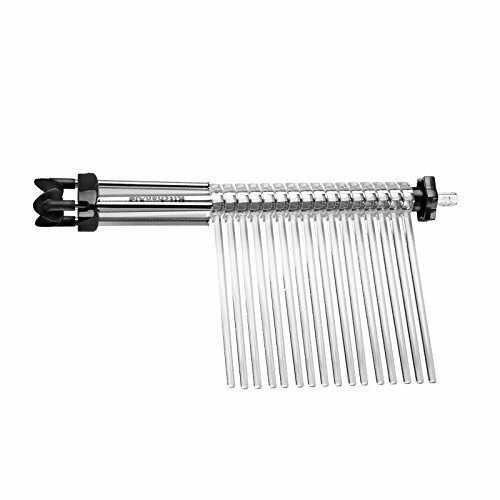 This Imperia SP150 is made with solid stainless steel and wooden cranking handle. This is manufactured by Italian high-end manufacturing and Craftsmanship Company. Whether you want to make farfalle, fettucine or conchigle with this Imperia SP150 pasta maker, you'll find the right model and the right attachment that you really need. Huijia Wellness 150 pasta roller machine is made by stainless steel and anodized aluminum what makes the machine long lasting. This machine can make delicious pasta from 0.3mm to 2.5 mm thickness with an easy adjustable setting. This machine allows you to make great pasta with different shape and thickness. It can make 2 shapes of pasta- tagliattelle and linguine. It can cut the pasta in 9 different shapes. Whenever you add some attachment with this machine, then it will service you better performance. You can clean it up after every use with a kitchen paper. But it is not water proof, so there is no option to wash it with water. You can us wooden cleaning brushes to clean this machine. Before cleaning the internal parts, you have to remove the plastic protectors and don’t use knives or cloths for the internal parts. You may use several drops of olive oil at the last portion of the roller. It’ll be better if you look for those features in the machine you are going to buy. First you need to determine what type of machine do you need! Is it a hand- crank pasta machine or automatic electric machine. Hand- crank machine can make nice pasta and cost less but they are time-consuming. 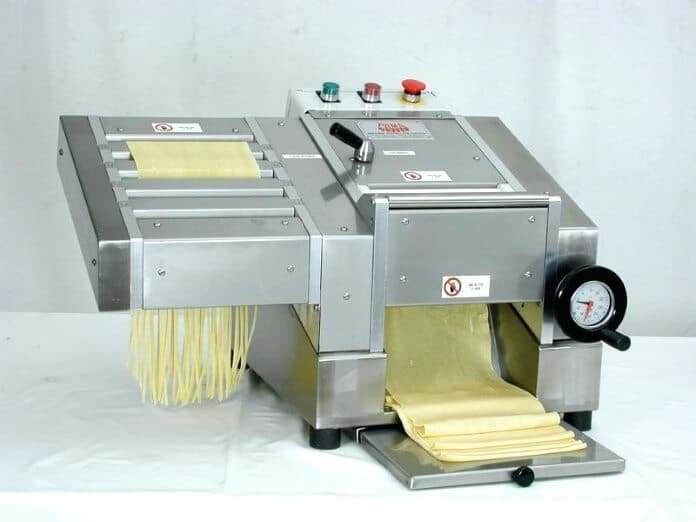 On the other hand, automatic pasta machine can save your time as they perform all mixing, kneading and make the pasta. Most of the basic roller makes flattened sheets from dough with which you can make lasagna or put them into slicer to make spaghetti or fettuccine. But if you want to make more shapes of pasta look for the brand that have extra accessories with them. Generally, pasta makers made of stainless steel works great and last for a long time. But machines made from the combination of plastic metal also works great. You just need to check previous customers opinion about durability before buying. Price of a pasta roller depends mainly on its type and material. A hand-cranked machine cost less than an automatic roller. Though a good quality machine may cost a bit more you don’t need to spend too much money to buy one. Both manual and automatic pasta maker can give you nicely made pasta each time. But there are a few difference between them before buying one. You can have ultimate control over the finished products by using a manual pasta maker. But an automated pasta machine does all task by itself. 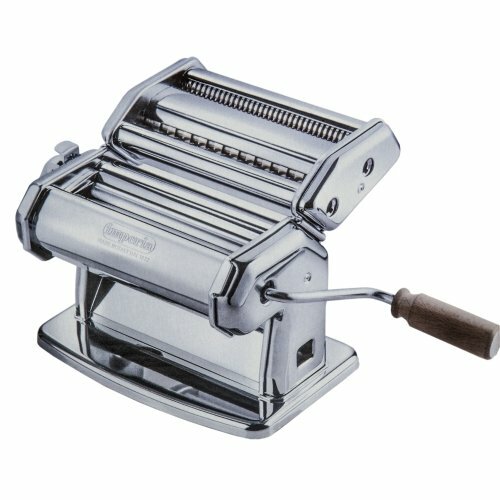 By using a manual roller you’ll get lasagna sheets, spaghetti, fettuccine and tagliolini. Whereas you can make any shape like penne or macaroni by using an automatic roller. You can also knead dough for biscuit, pizza or cakes with an automatic machine which is not possible with manual one. Making pasta with a manual roller is more time consuming than the automatic machine. Manual pasta maker is cheaper than automatic pasta maker. Automatic pasta maker is much easier to clean than a manual one. The popularity of homemade pasta has increased a lot these years as people are getting more health conscious. Besides, homemade food has its own appeal to everyone. You can make them manually or by using a pasta maker. But if you are buying a pasta roller for the first time you may have lots of question in your mind. I’ve tried to answer basic queries about pasta roller in this guide. So that you can easily select a nice machine and enjoy with your family. No matter what type of pasta maker you buy it’ll take time to make the perfect pasta. Once you reach to the perfection level by error and trial method, you can enjoy the tasty and delicious pasta whenever you want. If you have any other query I forget to mention here, feel free to contact me.